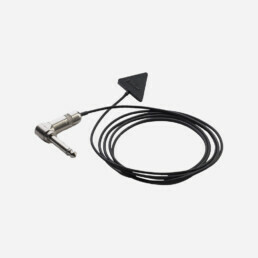 The Ehrlund Acoustic Pickup (EAP) is a linear contact microphone for instruments with an acoustic sound box such as the guitar, violin and double bass. 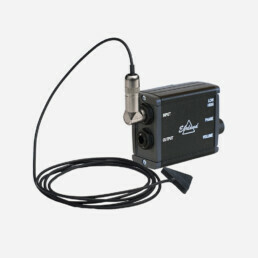 A linear microphone means the pickup reproduces a flat frequency response. 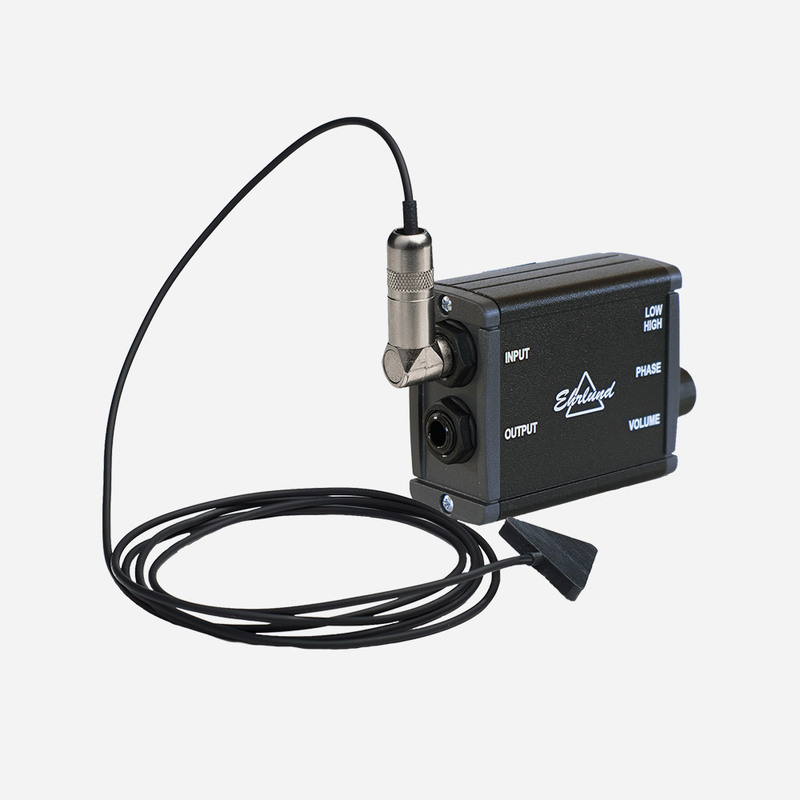 The EAP Pickup captures the vibrations in the acoustic instrument, which enables the microphone to deliver very good separation even in normally “impossible” environments where the other musicians are generating high sound levels on their respective instruments. Every instrument is unique and finding the right location for the best sound is a matter of trial and error. The EAP Pickup is easy to move around between different instruments.It is simple to attach to the sound box with adhesive putty. You can even mount the pickup on the inside of the instrument through the sound hole. 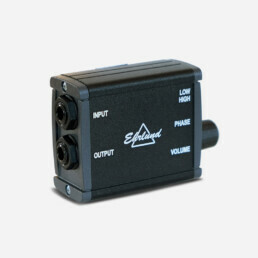 The Ehrlund Preamp has extremely low self-noise and low power consumption. It is optimized for use together with the EAP Pickup. 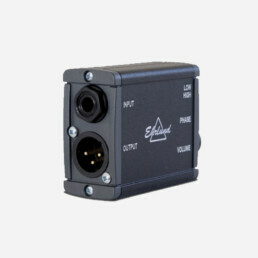 It has the power to drive most accessories arising, such as foot pedals, effects pedals and Di-boxes with transformers. The preamp comes with belt clips for easy attachment to the waistband. It is powered by a 9-volt battery, has an extended operating life of 600 hours and disconnects itself when the output cable is unplugged. The preamp has adjustable volume control, high/low-level switch and phase switch to avoid acoustic feedback during live performances. OUTPUT 6.3 mm jack plug. The battery will be cut off as soon as the cable is disconnected. PHASE The phase changing shift stops the soundboard of the instrument from resonating and therefore prevents feedback. I.e. when using monitors the phase shift possibilities avoid that the monitor speakers counteract to the vibrations of the instrument. The immediate effect is that the sound will be better. HIGH/LOW High and low input adjustment. The Preamp is extremely quiet. It can also be used by electrical guitar for direct input to a mixer table.